Fender’s new Sixty-Six is part of its Alternate Reality series of odd-the-wall designs and makes use of a down-sized Jazz Bass body shape. This model was announced during the Winter NAMM show but has now made it to market. Can this left-field guitar tempt you into parting with your money? Out of all of the 2019 Alternate Reality models, the new Sixty-Six is possibly my favourite. It has a down-sized ash Jazz Bass body, reminding me a lot of the John Squire guitar from his early days in the Stone Roses. 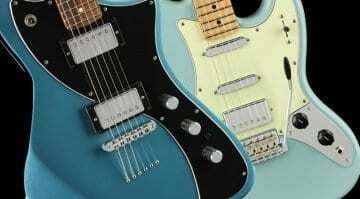 This new model has a kind of offset-meets-Stratocaster vibe to it. Aesthetically, I think this looks very appealing. It comes factory fitted with a single Player Series humbucking pickup in the bridge position and two Player Series single-coil Tele pickups, so it should be pretty versatile in the tone department. It’s fitted with a familiar Strat-style vintage synchronized tremolo bridge, so tuning should be good. The Modern C shaped neck profile with a 9.5”-radius fingerboard should be fairly comfortable, though perhaps a somewhat ‘vanilla’ choice. I’m more of a chunky neck player myself, but I realise that the majority of players probably don’t want a thicker neck. The best part is the choice of colours, as you can order it in either a classic 3-Color Sunburst, Daphne Blue or a Natural finish. Those are nice choices and they all suit the look of this model well. The name refers to the year in which Fender Jazz Bass first came out (1960) as well as the 6 strings of guitars rather than the four you’d get on a bass. With the release of the the official demo video, which you can watch below, we can now finally hear the Sixty-Six in action. 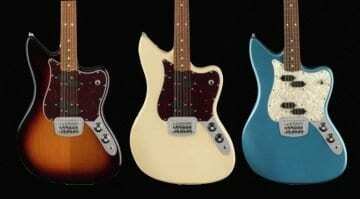 It sounds pretty decent and should appeal to lovers of that classic Californian look that Fender is so good at. 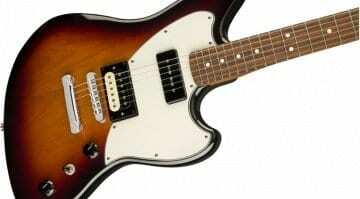 But this guitar also has a modern twist, giving a new take on those vintage curves we all know and love. 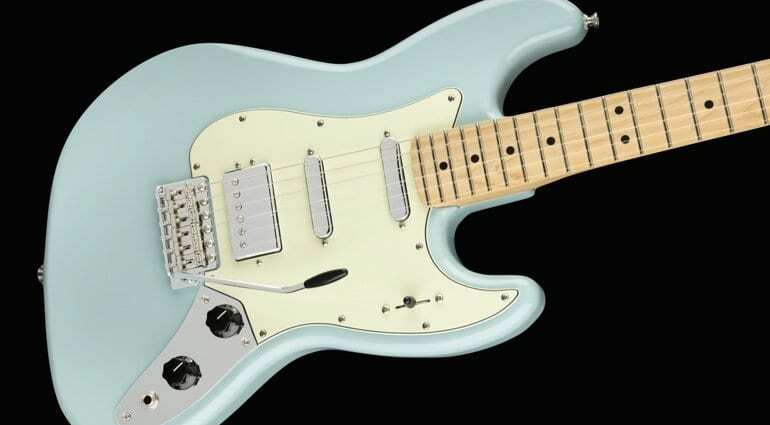 NAMM 2019: Fender Alternate Reality Tenor Tele completes the series! Yes, I’d agree that it looks pretty good. Well worth checking out and some nice choices pickup wise. 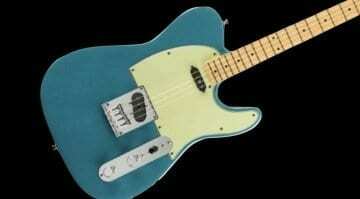 yeah, this is on the list to def check out at my fav guitar shop once it hits the wall. It just looks good and right! I hear you and will be doing exactly the same myself! Let me know what you think when you get your hands on one and report back. Would be good to hear what you think about them.